Mom's Gone Bronson! : It is fort season, with Pop Secret! 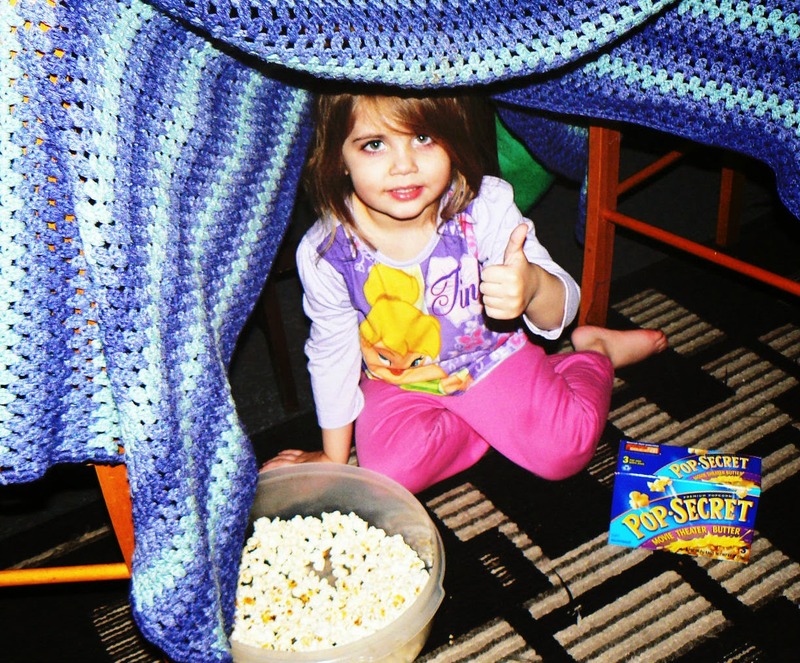 #PopSecretForts Build Yours, Today! It is fort season, with Pop Secret! #PopSecretForts Build Yours, Today! 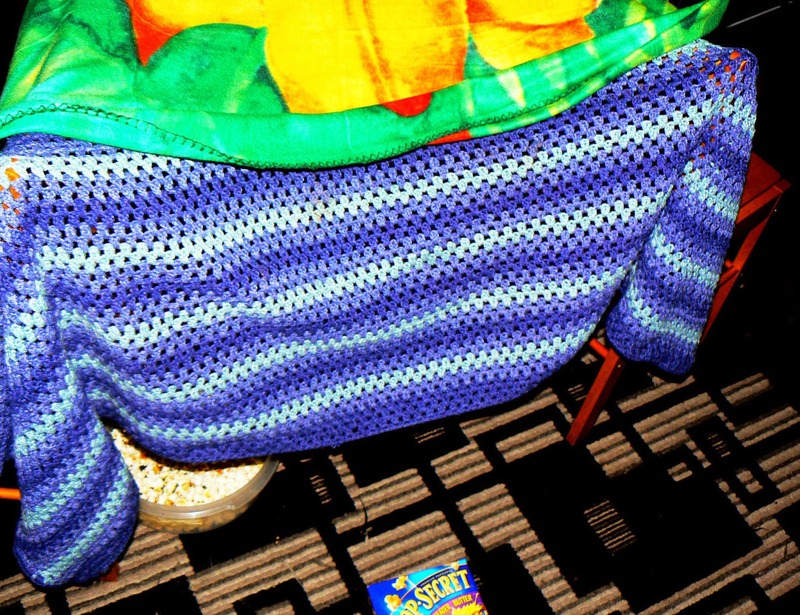 Pop Secret is your perfect snack companion on trips into the uncharted reaches of your imagination!! This time of year is the absolute best time of year for indoor-fun, which sometimes comes in the form of that all-time favorite... FORT BUILDING! Last night was the PERFECT night for distracting the kids with a fort as the snow fell and made it impossible to go outside without freezing off our tootsies, feeling far more enticing to hide away and giggle instead! We love to keep our forts simple and fun, so grab some chairs, pillows, a table, anything in your room that you can throw a cover over and make that little den as cozy as you like! We popped up a bag of Pop Secret to help us get through the task and my kids were so very excited to get their butts in the fort - mostly for the snack, but also because, hey! It's a cozy little hide-a-way and who doesn't want one of those!! Pajamas on, a few pillows thrown in for good measure and blankets at the ready! Pop on a movie and bring in the Pop Secret!! VOILA! Movie night, fort night, snow-day, awesomeness!! Oh, and hey! Don't stop with the creativity at your fort's front door! Make that Pop Secret your own, too! We LOVE the Movie Theater Butter flavor because everybody in the house loves that yummy, buttery taste, but you can also easily add your own goodies to the buttery base! We love to grind up sugar and make it a powder and dust that on, or throw in some cinnamon! Yum, YUM, YUUUM! Pop Secret loves to keep you going, no matter what you do and you can pick up a $1 off coupon towards your next box, over at their Facebook Page, right now! Do you have a favorite flavor? What do you like to add to your Pop Secret? Maybe you have a fort to share and, if so, we'd LOVE to see!! Pop Secret knows that fun, like popcorn, is better when it’s shared. Send Pop Secret your pillow fort stories and pictures on Facebook. You can upload them right to the Pop Secret timeline and tag them: #PopSecretForts. They might just share a little something back! We do this all the time! My daughters use blankets in their bedroom to make forts/tunnels all over the place. Inside forts are so much fun--and they allow a child's imagination to take wing and fly! Of course I love popcorn and Pop Secret is definitely a good brand! 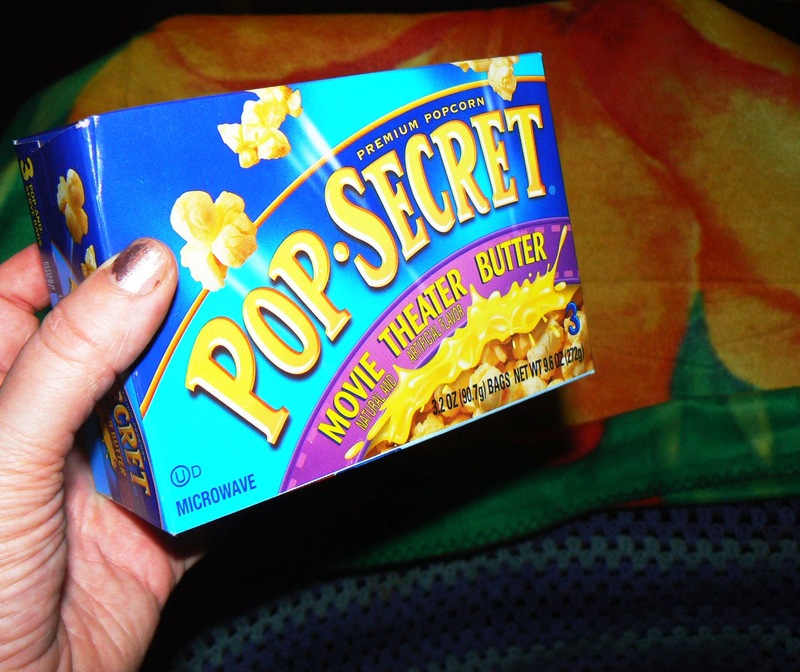 Pop Secret is perfect for movie night. I love the idea of building a fort with the kids. We haven't made a fort in a long time. My kids are going to love when I let them make one and also bring popcorn in there! That's so much fun. We did this when the kids were small. My daughter loves building forts and then watch her favorite cartoons from there. I think I have to organize family movie night with forts and popcorn! WE always loved building forts in the living room out of the couch cushions. My boys have tents and tunnels that they play with but I think no matter what you use - having a fort is just cool! I used to LOVE building forts! I also grew up eating Pop Secret popcorn on the weekends at my grandparents!